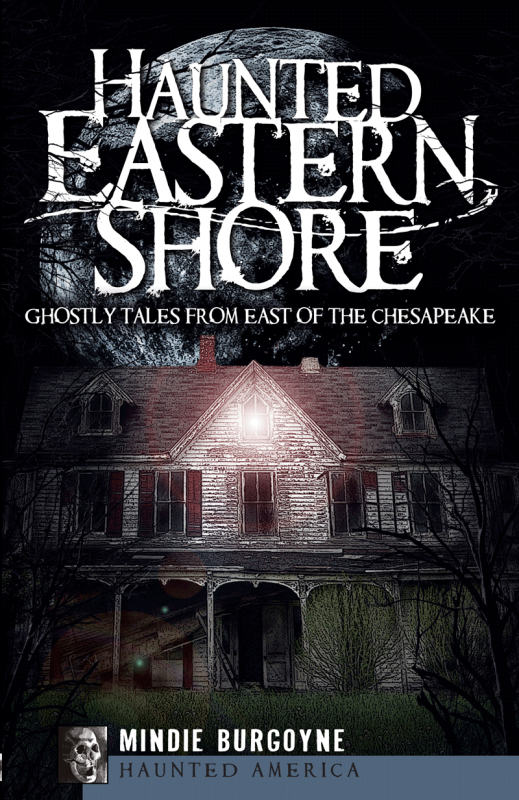 Signed copy of Haunted Eastern Shore: Ghostly Tales from East of the Chesapeake. Written by Mindie Burgoyne, and published in 2009 by The History Press. Published in 2009, now in its 5th printing. 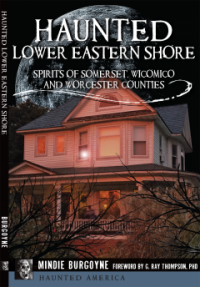 Maryland’s best-selling book on Eastern Shore heritage and hauntings. 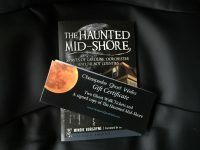 Signed copy of Haunted Eastern Shore: Ghostly Tales from East of the Chesapeake written by Mindie Burgoyne, owner of Chesapeake Ghost Walks and the person who crafted all of the tours. 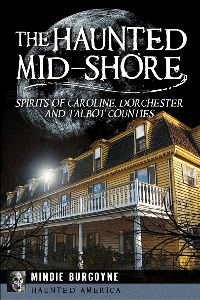 This book features stories of 26 sites associated with ghosts and hauntings on Maryland’s Eastern Shore, including Burgoyne’s own haunted house. Read the stories of Big Lizz who haunts Greenbriar Swamp and the Decoursey Bridge, the Cosden Murder Farm – the site of the largest mass murder on the Eastern Shore, the story of Wish Sheppard who is still haunting what once was the old jail in Denton, Marshall Price who was lynched on the Courthouse Green in Denton after being found guilty of murdering young Sallie Dean, Whitemarsh Cemetery where the souls whose graves were robbed are still searching for their own remains and the famous Hanging Tree in Tunis Mills.